THOMAS EBENSTEIN was born in Carinthia/Austria in 1979 and studied singing with Helena Łazarska at the Vienna University of Music and Dramatic Arts.Since the beginning of the 2012/13 season he is a member of the Vienna State Opera. From 2003 to 2012 the tenor was a member of the Berlin Komische Oper. His guest appearances include performances with the Bavarian State Opera, Staatsoper Berlin, Dresden Semperoper, Staatsoper Hamburg, Deutsche Oper am Rhein, Grand Théâtre de Genève, Theater an der Wien, New York Carnegie Hall, Festspielhaus Baden-Baden, Berlin Philharmonie, Hamburg Laeiszhalle, Amsterdam Concertgebouw, Auditorium di Milano, Vienna Musikverein & Konzerthaus, Bochum Ruhrtriennale, Wiener Festwochen, Salzburg Easter Festival, Salzburg Festival, Bergen International Festival and Hong Kong Arts Festival. Future engagements will see him as Valazacchi (Der Rosenkavalier) under Sir Simon Rattle at the Metropolitan Opera New York and again as Jaquino (Fidelio) under Kent Nagano at the Staatsoper Hamburg. 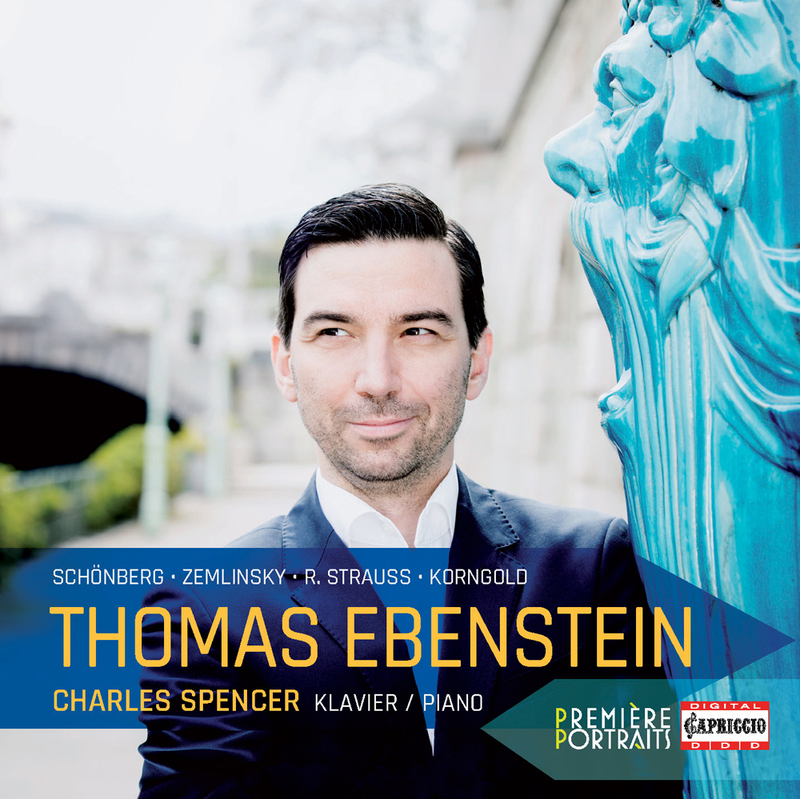 Thomas Ebenstein has worked with a number of prestigious conductors such as Thomas Adès, Semyon Bychkov, Christoph Eschenbach, Adam Fischer, Daniele Gatti, Marek Janowski, Zubin Metha, Ingo Metzmacher, Andris Nelsons, Yannick Nézet-Séguin, Kirill Petrenko, Sir Simon Rattle, Christian Thielemann and Franz Welser-Möst. His repertoire include such roles as Pedrillo (The Abduction from the Seraglio) – amongst others at the Salzburg Festival, also published on DVD on Arthaus Musik, David (The Mastersingers from Nuremberg), Steersman (The Flying Dutchman), Dancing Master (Ariadne on Naxos), Scrivener (Khovanshchina), Truffaldino (The Love for Three Oranges) and Alfred (The Bat). At the beginning of 2018, his debut recording with Lieder from R. Strauss, Schönberg, Zemlinsky and Korngold will be released on Capriccio (Première Portraits).